The World Series of Boxing is back on BoxNation for another year, kicking-off with the British Lionhearts who go up against France Fighting Roosters exclusively live this Friday night. Now in Season 8, the WSB, a unique global team boxing competition, involves sides from the Americas, Europe and Asia all going up against one another in a three-group regional regular season before the global play-offs and final. Among the boxers taking part will be a host of champions and medalists from the 2017 AIBA World Championships in Hamburg, and the eleven teams will be able to recruit available national and international boxers to their squads. Reigning champions Astana Arlans will face China Dragons, the all-new Indian Tigers and Patriot Boxing Team from Russia in Group Asia, while the Croatian Knights will begin their first season against the British Lionhearts, France Fighting Roosters and Italia Thunder in Group Europe. In Group Americas, Season 7 finalists Cuba Domadores will be looking to equal the Arlans’ record and win a third title of their own, but face stiff competition from Colombia Heroicos and Venezuela Caciques. BoxNation viewers who follow the GB Boxing squad will be able to see some familiar faces this Friday including European champion Peter McGrail, Rio Olympian Galal Yafai, boxing at light-flyweight, and lightweight Luke McCormack. The British Lionhearts will be hoping to finally win the competition after coming closest in 2016 when they fell short in the final against a talented Cuba Domadores. Established in 2010, the WSB is designed to bridge the gap between amateur and professional boxing, with fighters competing without head guards or vests over five three-minute rounds. Season 8 is expected to be the best year yet with a host of top talent competing over the coming season. “In terms of the quality and excitement of boxing on show, entertainment and production levels and our global audience reach, WSB Season 7 set new standards for our sport. In Season 8, we can now go even further, with India’s vast and growing appetite for boxing adding a new dimension to the 2018 competition and the Croatian Knights bringing with them all of that great nation’s boxing history,” said AIBA Interim President Franco Falcinelli. 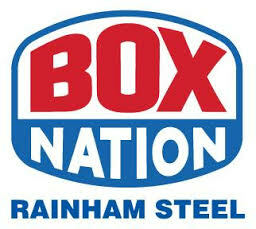 BoxNation’s exclusive coverage will start from 7.30pm live this Friday night. BoxNation is available on Sky/Freeview/Virgin/TalkTalk/EE/Apple TV/ online at watch.boxnation.com, via apps (iOS, Android, Amazon) and TV Player for just £12 a month. Buy now at boxnation.com.